Welcome to NCFH’s Diabetes Resource Hub! NCFH is working with a number of partners in a learning collaborative supported by HRSA to further the knowledge of health centers in developing and implementing certified Diabetes Self-Management Training (DSMT) and/or Diabetes Prevention programming. This initiative assists community health centers with specific training needs and steps for implementation. Through our partnership with the American Association of Diabetes Educators (AADE), we have gathered a select few resources and tools below to further this initiative in preventing, managing, and treating prediabetes and diabetes. AADE offers additional information about their Prevention Network and the National Diabetes Prevention Program (DPP) led by the Centers for Disease Control and Prevention. AADE also provides information about opportunities available to create your own Diabetes Prevention Program and host a LifeStyle Coach Training. Prediabetes is a blood glucose (sugar) level that is higher than normal but not high enough to be diagnosed as diabetes. One in three American adults has prediabetes, and most do not even know they have it. If you have prediabetes and do not lose weight or do moderate physical activity, you can develop type 2 diabetes within 5 years. Am I at Risk for Prediabetes and Type 2 Diabetes? Ever had diabetes while pregnant (gestational diabetes) or gave birth to a baby that weighed more than 9 pounds. If you think you may be at risk, a health care provider can do a blood test to see if you have diabetes or prediabetes. "Could You Have Prediabetes?" Online Quiz: This simple, seven-question quiz assesses if a person is at risk for having prediabetes. "A Change for Life" Video: In this video, experts and people with prediabetes talk about how type 2 diabetes can be prevented or delayed by making lifestyle changes that include weight loss and increased physical activity. People with prediabetes discuss how group lifestyle change classes helped them learn and keep healthy habits. “Prevent Diabetes STAT” Toolkit: Download this free toolkit for additional resources that help prevent and/or reduce your risk for prediabetes. The toolkit includes information on how to engage patients, health care teams, and ways to incorporate screenings, testing, and referrals into your practice. The website also has downloadable Spanish handouts for selected resources. Type 2 diabetes is the most common form of diabetes. Most of the food we eat is turned into glucose, or sugar, for our bodies to use for energy. The pancreas, an organ that lies near the stomach, makes a hormone called insulin to help glucose get into the cells of our bodies. When you have type 2 diabetes, your body can't use its own insulin as well as it should. This causes sugar to build up in your blood. Type 2 diabetes is a serious condition. It can lead to health issues such as heart attack; stroke; blindness; kidney failure; or loss of toes, feet, or legs. Can I Prevent Type 2 Diabetes? that you can start preventing type 2 diabetes today. And you do not have to do it alone. Finding the PreventT2 program was your first step on that journey. If you have prediabetes, now is the time for prevention. AADE's PreventT2 lifestyle change program can help you take charge of your health to prevent or delay type 2 diabetes. This patient education digital story teaches viewers what diabetes is and key steps needed to control diabetes. Click Here to Download this Digital Story. Regular exercise can help with weight-loss and delay or prevent diabetes –related complications. It can be achieved in a single session or divided into short episodes of physical activity. A goal of 30-45 minutes several days of the week (4 or more) is often recommended. See these resources for additional tips on how to become more physically active and incorporate exercise in your daily routine! 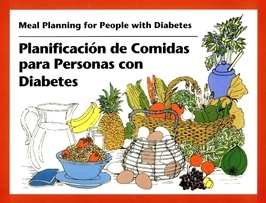 Managing prediabetes and diabetes can be overwhelming. Check out the resources below for additional support with medication, mental health related to diabetes management, and tips to continue monitoring your healthy lifestyle!